I gain fashion inspiration from many different sources. Whether I’m reading the latest edition of Instyle magazine, watching an old Hollywood film, walking through the city, or simply browsing on Pinterest I get ideas for outfits and styles. I love pairing different fashion elements and trends to create a unique look. More than anything, I always find inspiration from old Hollywood actresses. Something about the way they carried themselves exudes elegance and grace. They dressed with propriety while also complementing their figures and own personal taste. Personally, I have always admired Audrey Hepburn’s classic sense of fashion. Her timelessly chic style continues to intrigue and inspire people today. For years, her clean sensibility and radiance has fueled designers as they attempt to embody her classic look. According to Hepburn, “I thought I’d never land in pictures with a face like mine.” Despite her insecurities about her unique appearance, America embraced her innocent, doe-eyed face. The film Breakfast at Tiffany’s catapulted her to icon status and her little black dress became symbolic in her time. 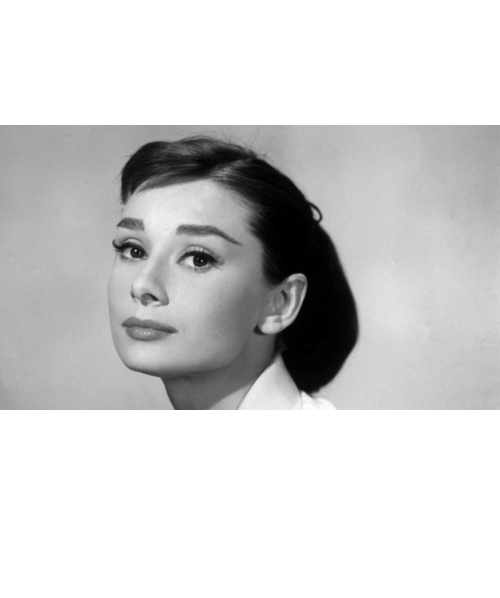 Audrey Hepburn epitomized the glamour of the 1950s, when fashion revolved around flowing shapes and elegant dresses. No matter what she wore, whether an evening gown, jeans, or a turtleneck and flats she looked tasteful and put together. She built her looks around versatile, quality pieces that could easily be incorporated into several looks. Sixty years later, women today draw from her style and taste for inspiration. What is it about Audrey Hepburn that we all love? For some reason, women everywhere consider her their “fashion icon”. Not only did she dress well, she also showed humility in the way she lived, loved, and interacted with others. Her character shone through her dress and still fascinates people. Although far from the curvaceous Marilyn Monroe, she captured the attention of the American people and charmed audiences worldwide. She stood in stark contrast to the typical starlet of her time and slowly redefined the image of glamour and refinement. According to the designer Hubert de Givenchy, Hepburn knew how to present herself. She knew her body and how to accent it. Regardless of her insecurities with her slender figure, she embraced her body and complemented it with her clothing choices. Something about her quiet confidence still fascinates women across the nation and inspires our fashion choices. Not only did she star in many films, she also engaged in humanitarian work throughout the course of her life. As an advocate for social justice she fought for the rights of people in Third World countries, working firsthand with victims of oppression. The way she treated others and cared for the less fortunate should serve as an example for Christian women. We should all strive to love others and allow our beauty to flow from that love. Rather than comparing ourselves with others who may have a different body, look, or sense of style we have no choice but to embrace the way God created us and the passions he has entrusted us with. Next articleDiet Drinks Linked to Depression?